The hardy agave, or century plant, can wait 25 years or more before growing a single, enormous flower stalk, up to 14 ft. tall, that dwarfs the plant. 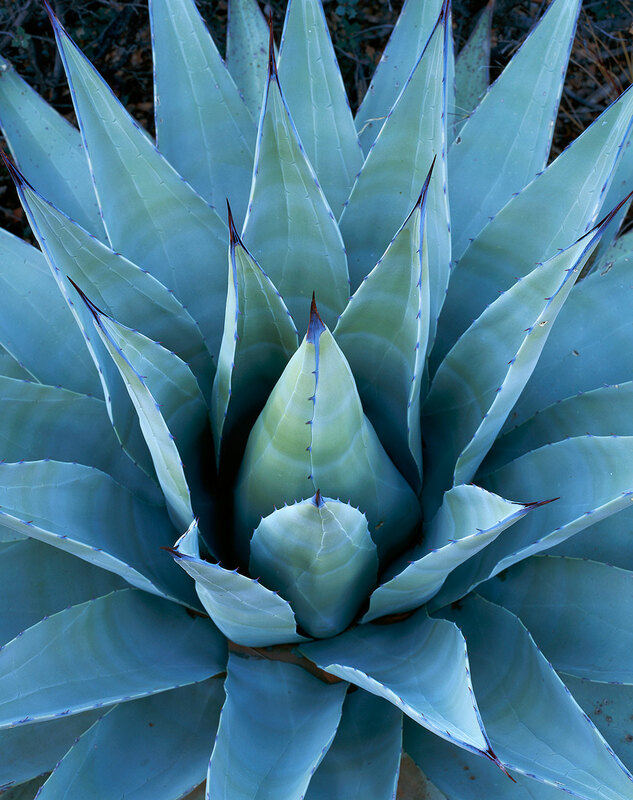 The agave spends all of its energy to father a new generation, sacrificing its life in the process. I photographed this plant along the Secret Canyon trail near Sedona.